Here are 3 good choices for lights to add to your bike. All 3 do both tailight and brakelight functions (they have 3 wires). Price runs about $8.00 to $12.00. 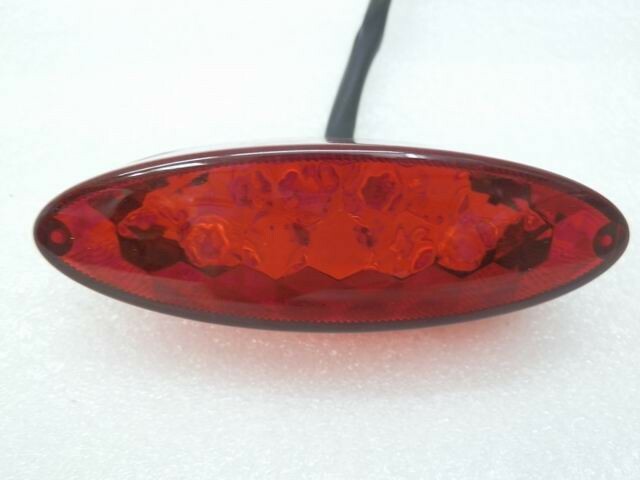 Here is one of the brightest tailight/stoplight that you will find for $9.99 shipped (price varies). It is much brighter than the stock unit and some competing lights. You can mount it right above the stock tailight – remove the reflector and mount it using the reflector’s metal bracket. 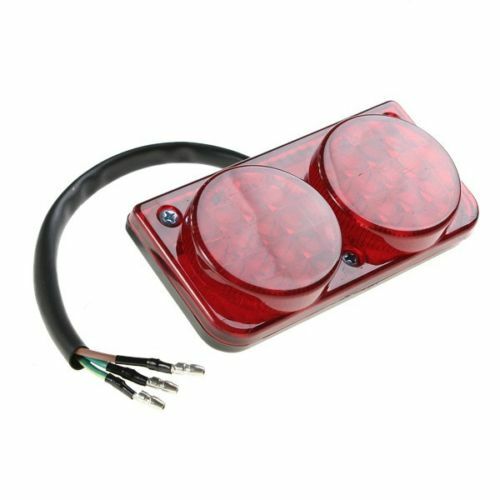 Check ebay for “Red Double Stop Tail LED Light for Motorcycle”. Dimensions are 3.9 inches wide x 2.1 inches high – or 105 mm W x 55 mm H. It has 18 LED’s and it has three wires that are about 8 inches or 21 centimeters long. Like most motorcycles, the stock tailight/stoplight on the Virago 250 is not enough, and the bike needs additional lights to be seen by other drivers. 9/27/13 – I just put this light on my other bike. Like the light above, it does both tailight and brakelight functions (it has 3 wires). #3 I did not test this one. It is 4 inches W x 1.25 inches H x 1 inch D. Bolt centers are at 85 mm. 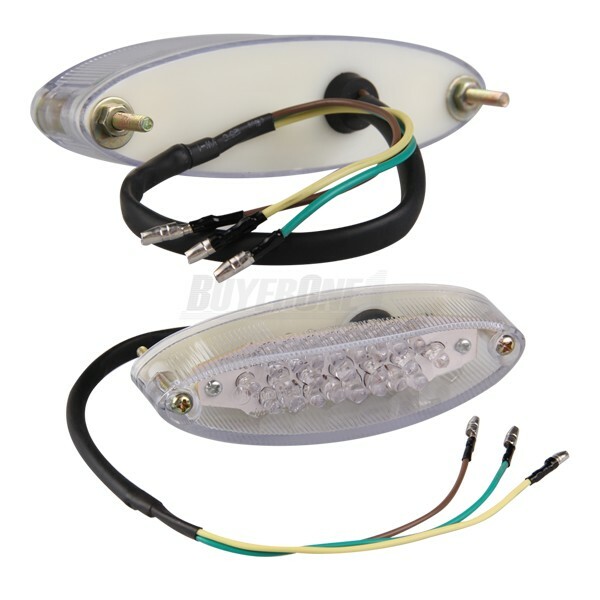 It has 21 LED’s and does both tailight and brakelight functions (it has 3 wires). In the past few days, you have sent me about 110 emails. What are the additional headlights you have on your bike in the pictures? Are those fog lights? If you have any info/tutorials on those, I’d be glad to hear about it. If you are referring to the pictures with the black Rifle fairing, the rectangular yellow lights are the factory Rifle turn signals/running lights.